"Overall, the Gamevice is a smartly made, comfortable, and capable joypad. As long as you don't mind the funny looks and the odd torn tendon trying to rip it apart from your tablet, it's a good choice for controller." The same can be said about the Gamevice for iPad Air / Pro 9.7-inch with one key difference - it doesn't quite grip your device with that same tenacity. 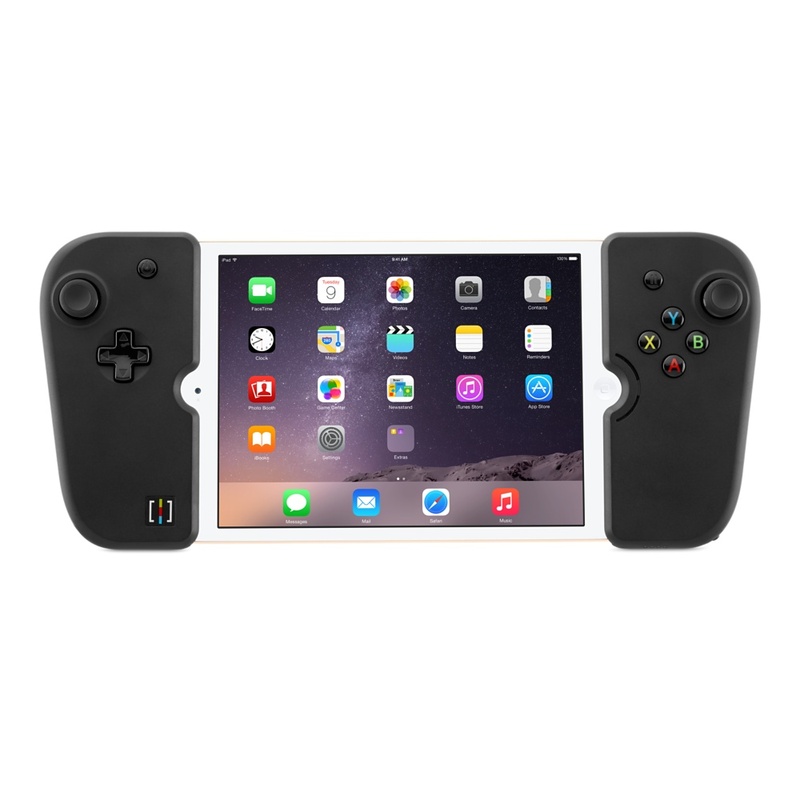 That's both good - because it doesn't require Donkey Kong's grip to tear it off your iPad - and bad - because it feels a little bit wobbly on the left-hand side. That's not a dealbreaker though, by any means. Also, due to the much larger size of the iPad Air / 2, it feels absolutely monstrous in size when you first hold it. Much like the Wii U controller though, you do get used to it - and it's remarkably comfortable to hold even over a prolonged period of time. It has to be said that it doesn't look quite as appealing as the Mini version, which matched the size of your iPad exactly. Still, it doesn't impact at all on comfort so if you can leave with it, it'll cause no problems. In terms of features, it's identical to the iPad Mini version. You've got your dual joysticks, d-pad, face buttons, four shoulder buttons, and menu button which all feel suitably nice to press and push, and allow you to take control over a variety of different. Then there's the charging port (which also charges your iPad), speakers, and a handy headphone port - all of which are positioned to provide maximum comfort. It's not very heavy either, and I felt comfortable enough using it for hours at a time (I got hopelessly addicted to Legacy Quest, thanks to this blasted Gamevice). And you can fold and chuck it into a bag when you're on your way out. It can take it. If there's one design overlook, it's that you can accidentally trigger the power button if you squeeze the left hand side a little too tightly (easily done over a prolonged period) though this can be fixed by quickly popping the left hand side out and in again. Overall, I'd echo Mark's feelings about the Gamevice Mini model. Despite the fact it's not quite as visually appealing, The Air 2 / Pro 9.7-inch model is just as smartly designed, comfortable to hold, and portable as its predecessor. It also seems to have improved on it by loosening up that monkey grip. It's a slight shame that this has resulted in a bit of give on the left, along with the accidental triggering of the power button, but these are by no means deal breakers. As it stands it's an absolutely solid choice of controller no matter your iOS device.